Warriors Orochi 4 is looking better and better the more we see of it. 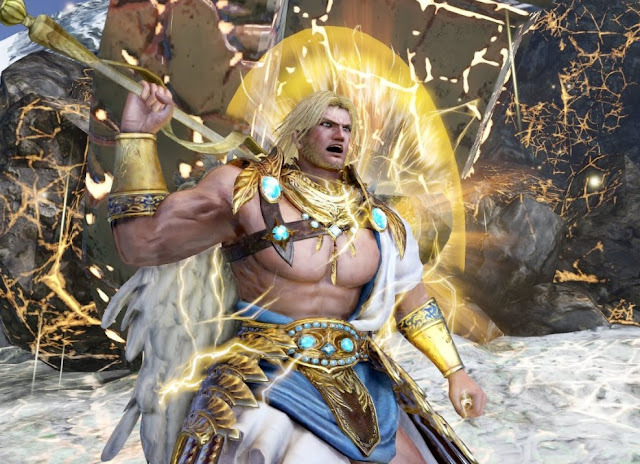 Koei Tecmo's mashup of the Samurai Warriors and Dynasty Warriors franchises now has a bunch of Greek deities in it too for some reason, and while that might not make any sense, that's the entire point of Warriors Orochi. It defies making sense, gloriously so. This is the first true Warriors Orochi game for this generation (you can get Warriors Orochi 3 on modern platforms, but that's a port of a game from the PlayStation 3 era). You can expect much the same pacey action fun that the Warriors series has always offered, along with a truly ridiculous number of characters to play with. The game itself is set for release on October 16 across Nintendo Switch, PlayStation 4, PC (Steam) and Xbox One. There's also pre-order goodies in the form of alternative costumes for a bunch of characters if that's your thing.